The Naga Students’ Federation (NSF) has appealed to the Nagaland Vigilance Commission to expedite the investigation into the alleged irregularities and mismanagement of mid-day meal scheme in the State. The NSF has submitted a memorandum to the state vigilance commissioner in this regard. In the memorandum signed by NSF president Kesosul stated that the federation and its federating units while carrying out education tour this year visited various government schools and found that mid-day meal was not provided to the students. NSF alleged that the scheme had miserably failed in its implementation and deprived the students of their rights and benefits. 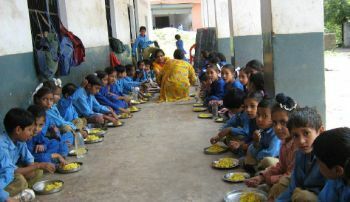 For the academic year 2018, NSF said most of the schools were not provided mid-day meal and many schools were supplied with only dal (dried, split pulses) and cooking cost without supply of any other commodities compelling the school management to sell a few bags of dal in order to purchase rice and other commodities to provide meal to the students. Impressing upon the vigilance commissioner to expedite the investigation process, the NSF demanded that the probe report be produced within 30 days on receipt of memorandum. The NSF also demanded a probe into the discrepancies of the mid-day meal scheme for the years 2017 and 2018 and strict disciplinary measures be initiated to penalize the defaulters of the implementing agencies.